Whether you are in India or abroad, bridal portraits are sometimes quite clichéd. As the top wedding photographers in Kerala and wedding Photographers in Dubai, I can vouch for this! Your wedding will include all those posed shots of your garland and ring exchanges, mangalsutra and that perfect smile pictures. But weddings are supposed to be fun! So we put together a list of super fun pictures every bride should get at her wedding! 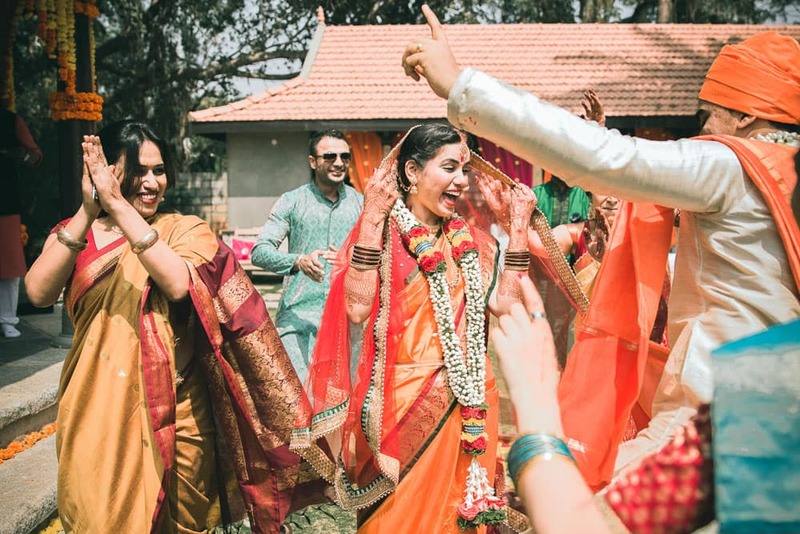 A funny wedding ritual – Indian weddings are full of them. As a wedding photographer in Kerala, I have witnessed so many smiles when the daughter sits on the father’s lap and even hoots of laughter when the bride’s father pretends to run behind the groom! 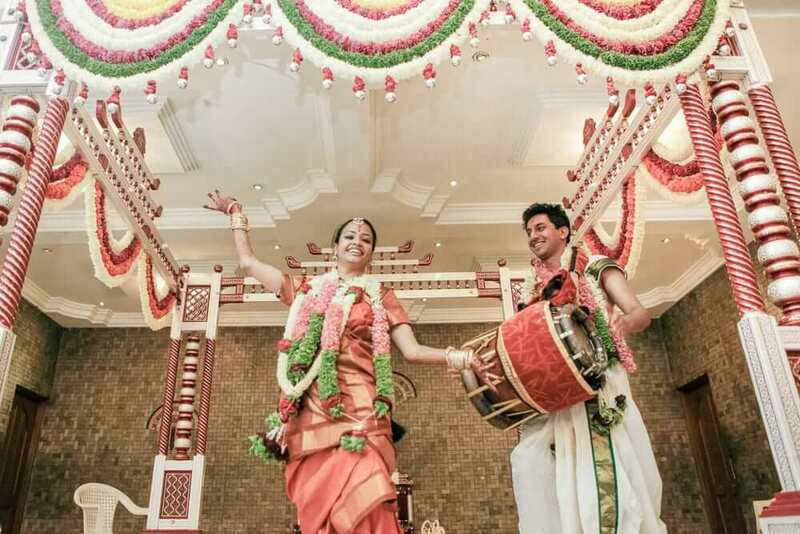 Ask your candid wedding photographer to capture one during such a ritual. 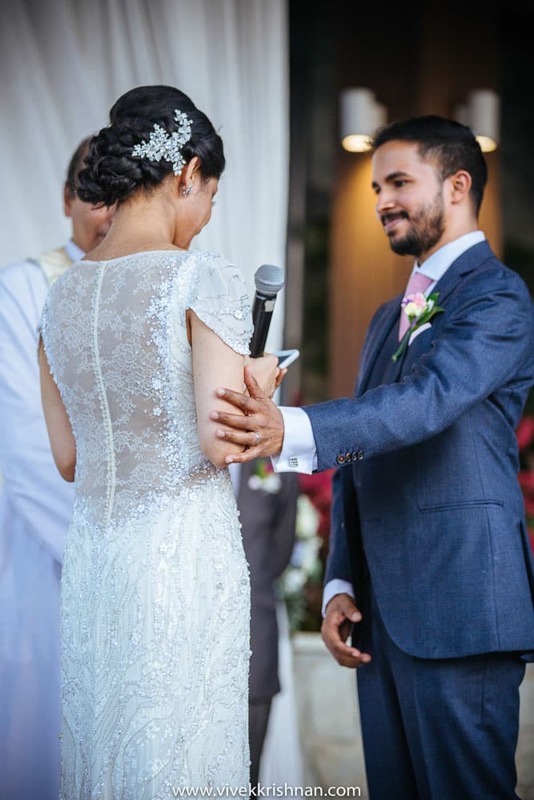 Dancing with your groom – You will always have pictures dancing with your guests, so make sure you get one with your groom! 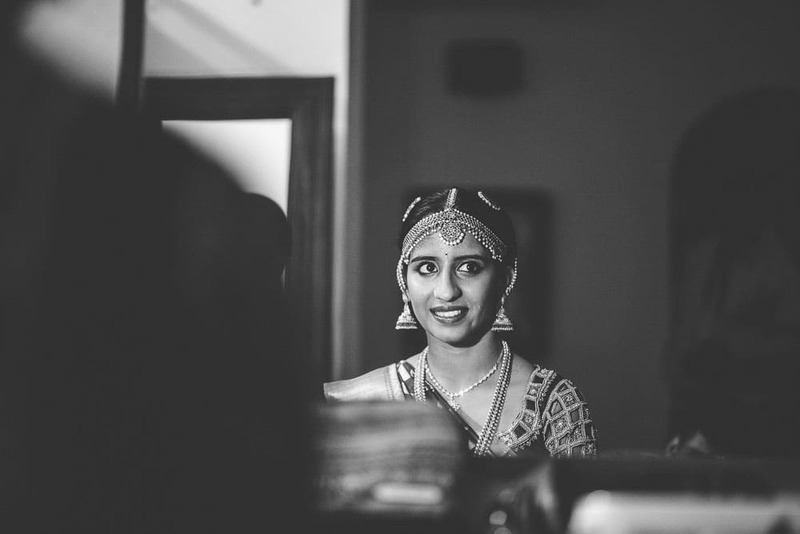 Peek-A-Boo – The little girl waiting to be a bride shot is this perfect peeking shot by our lovely bride Kirtana! Doing something absolutely crazy! – Like I said, wedding are fun. 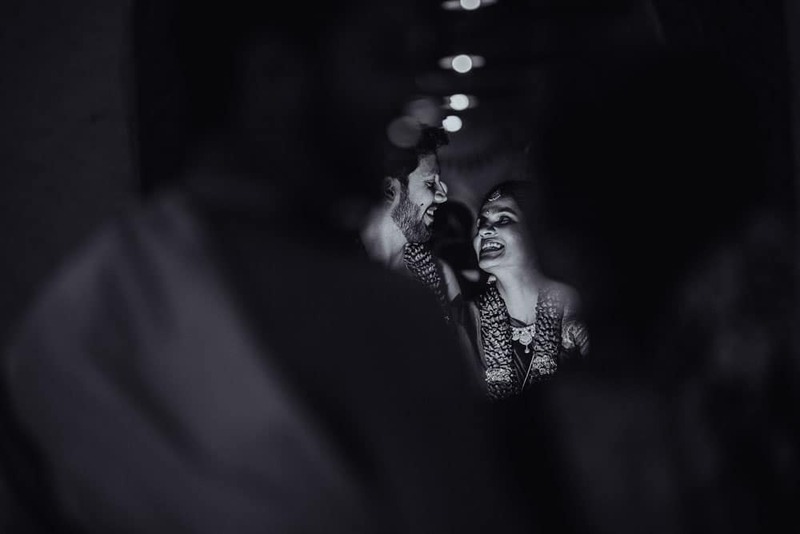 You should create memories that’ll last you a lifetime with such crazy, fun candid photographs. 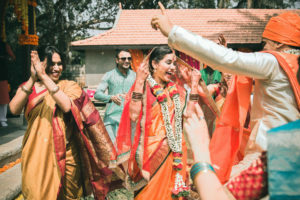 Ask the top wedding photographer in Kerala to click as you jump in the backwaters or a running on a beach in your bridal wear by a candid photographer in Goa! Reflective Shot – Instead of the usual mirror, get a shot you’re your reflection in the water or a different mirror. 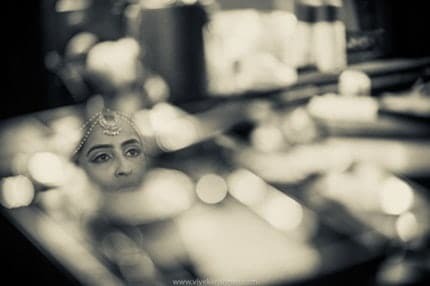 This pensive shot of our bride Neha is one of my favourites! 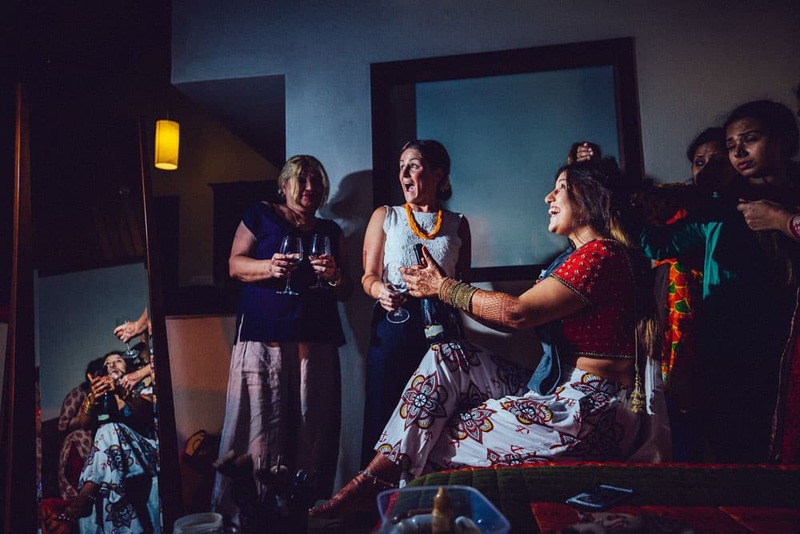 Through People – This shot is raw, intimate and absolutely candid! 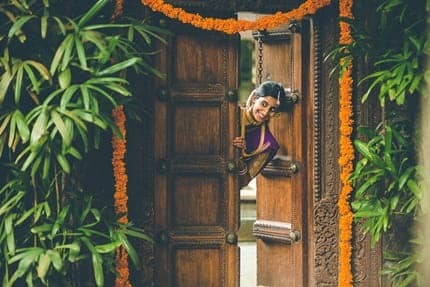 As wedding photographer in Kerala, I love capturing these moments – through the leaves of a banana tree or even through the temple décor in all South Indian weddings! 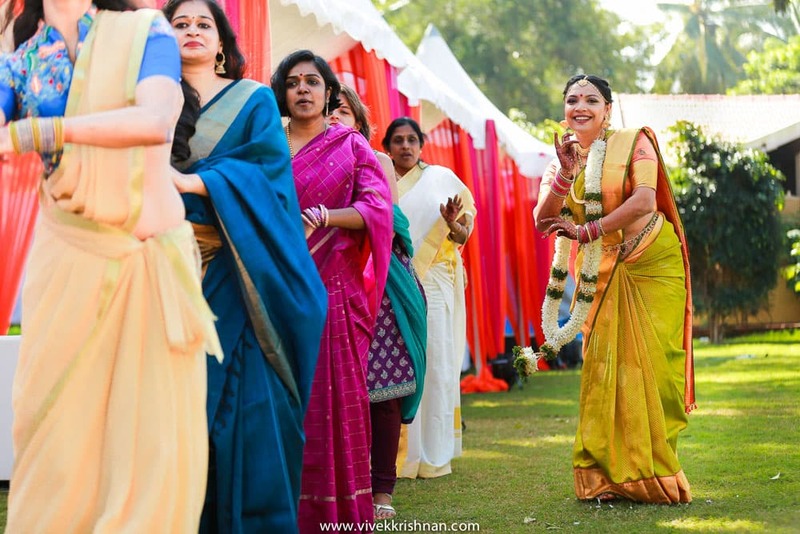 Dancing With Your Girls – You can’t miss this shot! It’s your girls and you’re dancing – something every bride should enjoy on her big day. B& W Shot – There is a reason why it’s a classic and I would say that very bride should get one black & white portrait clicked on her wedding day! 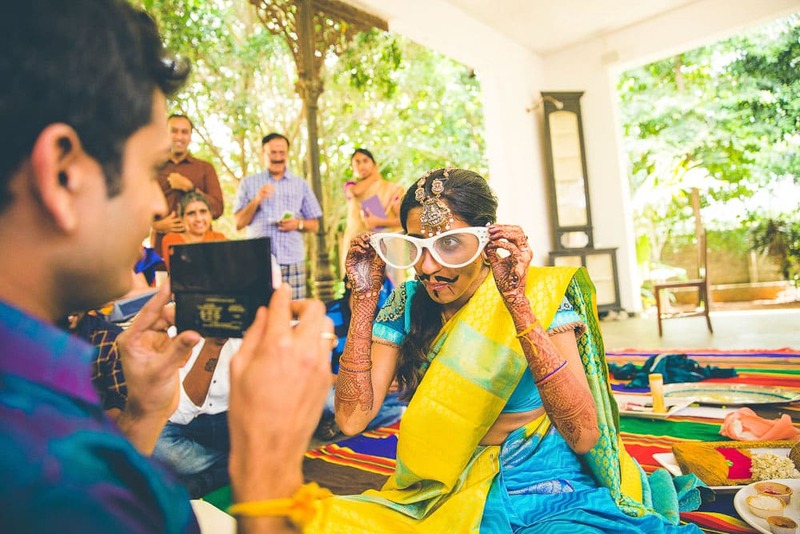 No Face Click – You’ll always find that the bride’s face is the counterpoint of all photos. So how about making something else the leading character? Get a picture with just your jewellery or hairstyle without your face showing. We love both these shots! Popping The Bubbly With Your Girls – The night before your big day, you can get this captured as you pop the champagne with your girlfriends. As a candid photographer I can tell that the excitement, happiness and fun is palpable in this moment! The Moments – No weddings are without teary eye moments. 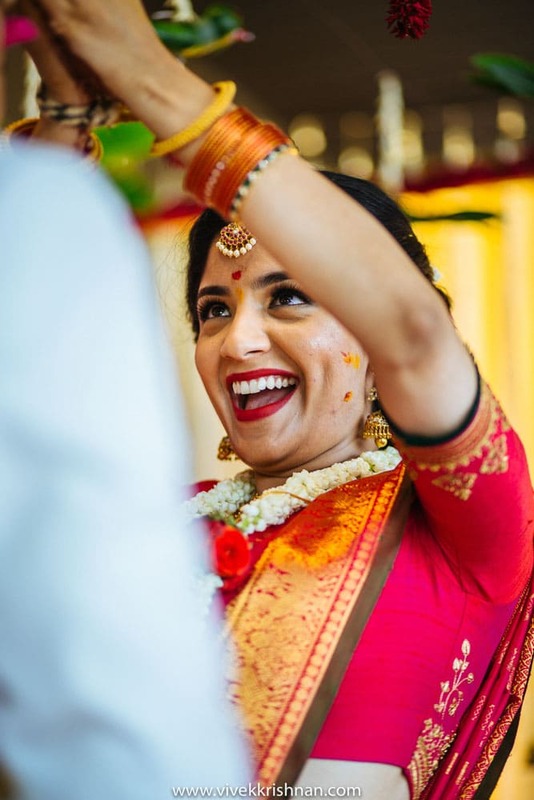 We loved this one when our bride Preethi got all choked up as she said her vows and even more on how our groom Vikram held her hand. Such an awww moment!